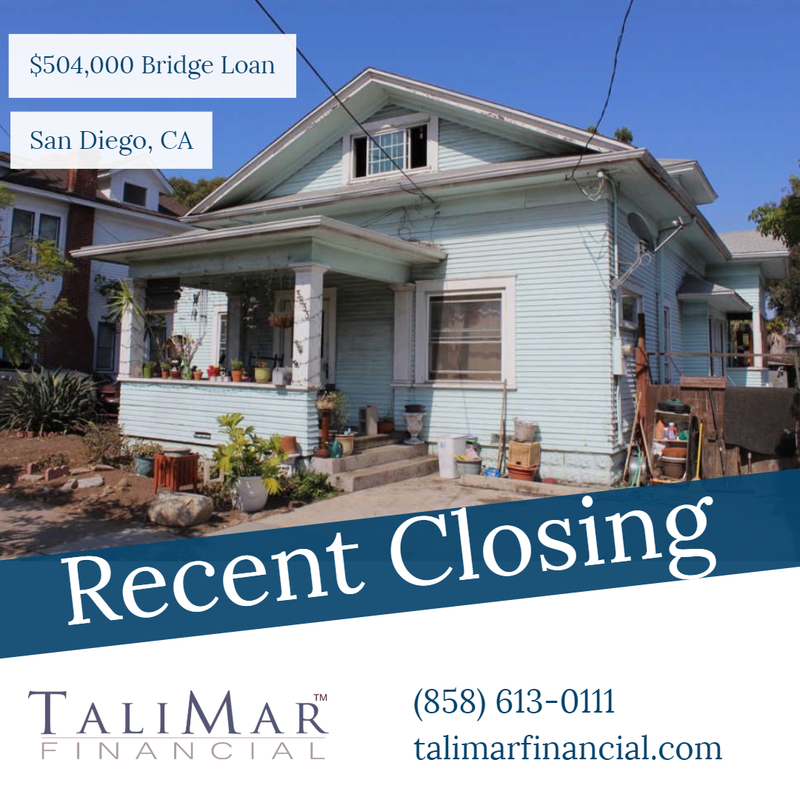 San Diego, CA – TaliMar Financial is pleased to announce its recent funding of a $504,000 Bridge loan secured on a single family home located in San Diego, CA. The Borrower plans to lease the property after completing a cosmetic update. The Borrower also intends to submit plans for approval to build a 10 to 14 unit multi-family property.